Under the International Arbitration Act (Cap 143A), parties may apply to the Courts to set aside arbitral awards in certain situations. Despite so, the case of AKN v ALC  4 SLR 488 has helpfully reiterated Singapore’s pro-arbitration stance, where the Singapore Courts will only set aside arbitral awards in exceptional cases. The Plaintiffs (the Liquidator and Secured Creditors of a company undergoing liquidation) had entered into an Asset Purchase Agreement (“APA”) with the Defendant Purchasers in relation to the company’s assets. Under the APA, the Plaintiffs agreed to sell the assets to the Defendants “free from and clear of all liens of any kind”. A dispute subsequently arose when the assets became encumbered with a statutory lien for tax liabilities. The Defendants commenced arbitration proceedings against the Plaintiffs, where the crux of the dispute was whether the Plaintiffs had fulfilled their obligations under the APA to deliver the company’s assets to the Defendants “free from and clear of all liens of any kind”. The arbitral tribunal (“Tribunal”) decided in favour of the Defendants, awarding them damages for the loss of opportunity to earn profits and granted them relief in respect of their payment obligations as long as clean titles to the assets were not delivered to them. The Plaintiffs then applied to the High Court to set aside the arbitral award on the grounds of a breach of natural justice and excess of jurisdiction. The High Court held that the Tribunal had committed a breach of natural justice by failing to consider the Plaintiffs’ submissions on several issues. An instance was when the Tribunal re-characterised the Plaintiffs’ claim for damages as one for “loss of opportunity” and failed to give them an opportunity to address that question. The High Court also held that the Tribunal had exceeded its jurisdiction by deciding on issues that fell beyond the agreed scope of reference to the arbitration. The Court of Appeal allowed the appeals in part, having found that the High Court erred in various aspects. The Court of Appeal held that when examining a challenge for breach of natural justice, Courts must first assess the real nature of the challenge. Only an arbitral tribunal’s failure to even consider an argument, would amount to a breach of natural justice. A decision to reject an argument is merely an error of law, and does not by itself, constitute grounds for setting aside an award.The remaining issues to consider thereafter would be whether there was a causal nexus between the breach and the arbitral award, and whether the breach prejudiced the rights of the aggrieved party. On this basis, the Court of Appeal rejected several of the High Court’s findings, on the grounds that the Tribunal did attempt to consider the arguments, but had chosen to dismiss them subsequently. Even if there was a breach of natural justice, it was held that no prejudice resulted. However, the Court of Appeal upheld the High Court’s finding that there was a breach of natural justice when the Tribunal did not provide ample notice to the Plaintiffs of the reframed “loss of opportunity” claim and in turn deprived the Plaintiffs of the opportunity to furnish submissions on that point. Turning to the High Court’s findings on excess of jurisdiction, the Court of Appeal observed that generally the Courts should not engage with the merits of the dispute when dealing with an application to set aside an arbitral award. However, an exception arises when the Courts are faced with arguments relating to the Tribunal’s jurisdiction. On this basis, it was held that the Tribunal exceeded its jurisdiction by suspending the Defendant’s payment obligations as it fell outside the agreed scope of arbitration found in the APA. While this judgment does not serve to enact new laws, it has usefully clarified the scope of the right of challenge to an arbitral award under the IAA. As noted by the Court of Appeal, the Courts will not interfere in the merits of an arbitral award, and in the process, bail out parties who had made choices that they might come to regret, or offer them a second chance to canvass the merits of their respective cases. Instead, the Courts will only step in to intervene in the enforcement of an award where a fundamental procedural error occurred, affecting the fairness of the arbitral process, or where a decision exceeds the jurisdiction granted to the Tribunal through the arbitration agreement. 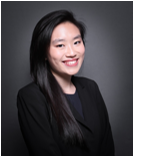 angjiehui@jtjb.comErin read law at the Singapore Management University and joined the firm as a Practice Trainee in January 2014. After being called to the Singapore Bar in August 2014, she was subsequently retained in the firm as an Associate. Her areas of practice are corporate law, shipping and maritime cases.